For many of the clients who come to LvA, therapy is the beginning of the work – not simply a quick fix or a happy ending. It is an opportunity to reclaim strength and one’s sense self-worth necessary to successfully journey through the emotional ups and downs that undoubtedly lie ahead. While many clients obtain the necessary tools for their journey after a few sessions, others may require a “refresher” along the way. For those, LvA’s doors are always open. Malefu* lost her parents at a young age and was cared for her by her older brother. Soon after becoming her sole caretaker, her brother began to physically and sexually abuse her. In fear for her life, she ran away to a neighbouring town and met a young man who she became involved with. This new partner provided shelter and security for Malefu and she finally felt safe in an intimate relationship with a man. She soon got pregnant, but realised she did not truly love her partner and returned home. Upon returning, her brother began to beat her again. Once again, she ran away – this time to Johannesburg. Though her location changed, her situation did not. She moved in with a man who soon began to physically and sexually abuse her. Determined to make a change and break the vicious cycle that dictated her life, she sought help from the police and was referred to LvA in 2015. She worked with the staff therapist and legal team to begin her journey to healing and self-empowerment. During this time, she confronted the terrible physical, sexual and emotional abuse she had endured throughout her lifetime. With the support of LvA, she made tremendous strides. Two years later, she was back at LvA’s doors. Upon returning to LvA, she again met with LvA’s therapist and shared how she felt worthless, and even suicidal. She revealed that after a series of disappointing personal setbacks, including losing her job, she realised that she had never been truly happy in her life. She felt her past traumas had controlled the choices she made in relationships – how she got involved with men solely for survival rather than love. 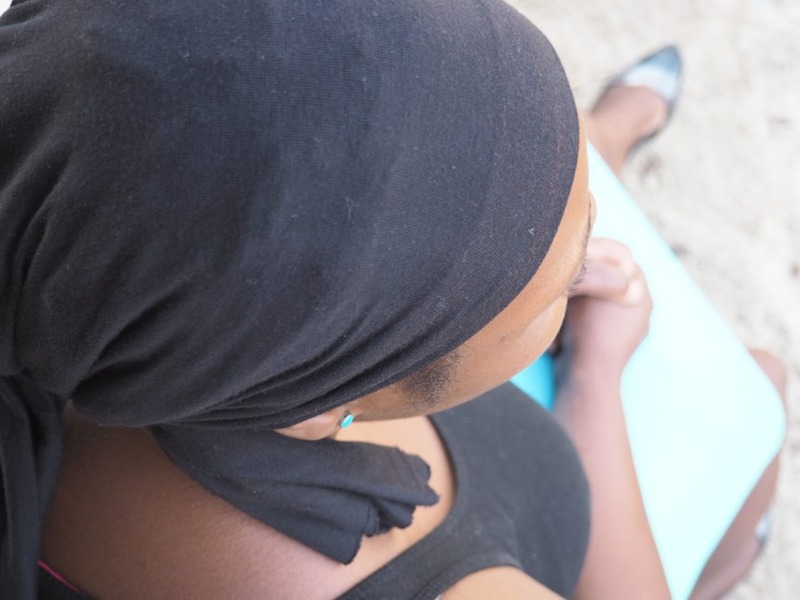 Although her life felt unbearable, Malefu had chosen to return to LvA to continue the work she had started two years prior, rather than finding a new man and continuing on in that cycle that had controlled so much of her past. The tools she received during her initial time with LvA allowed her to come back and make a different choice – one that empowered her rather than tore her down. Through her ongoing therapy with LvA, she reclaimed the strength she had lost. She continues to come regularly for counseling and is thriving in her journey. Today, she is working a temporary job and is determined to get full-time employment. She is saving her money to go back to school and has made a decision to invest in herself rather than a partner.